Forty years after he terrorised the residents of Haddonfield, Illinois after escaping from the sanitorium he has been imprisoned in since a child, Michael Myers is back to finish what he started with Laurie Strode. Then a teenage babysitter, she and her friends were stalked by Michael and one by one, killed by Michael in cold blood. 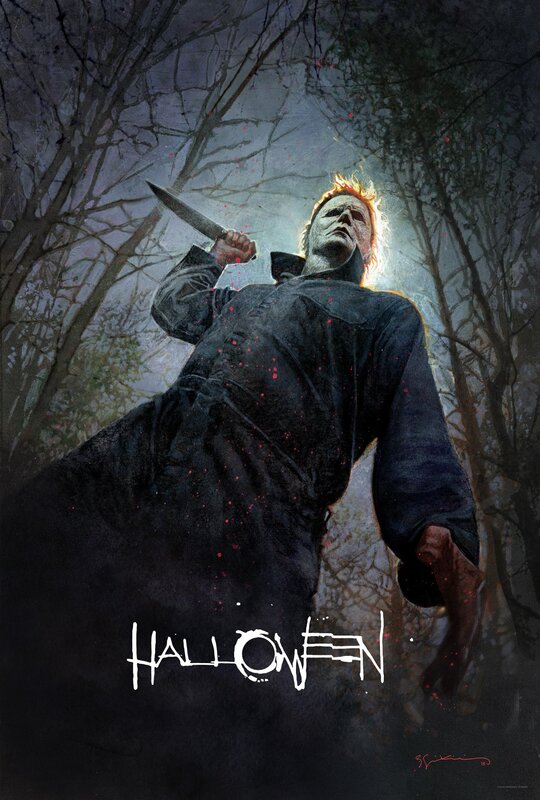 As envisioned by director David Gordon Green and co-writer Danny McBride, this year’s ‘Halloween’ supposes that Michael has been imprisoned in Smith’s Grove Sanitarium all this while, but manages to escape when the transport he is in gets into an accident. On the other hand, Laurie has been preparing all this time for Michael’s return, turning her house into a heavily fortified homestead; yet she is not only defending her life this time round, but also the lives of her daughter Karen and grand-daughter Allyson. Unlike the Laurie in 2018’s ‘Halloween’, the franchise first started by John Carpenter hasn’t been biding its time. Oh no, since the first movie became known as a slasher classic, there has been nine other films trying to expand on Michael’s mythology, and to some extent that of Laurie’s. But if you’re thinking of playing catch-up in time for the latest sequel, you might as well not – because ‘Halloween’ ignores all the original’s sequels that have come before it, and discards perhaps the most significant relationship in the series following the original. 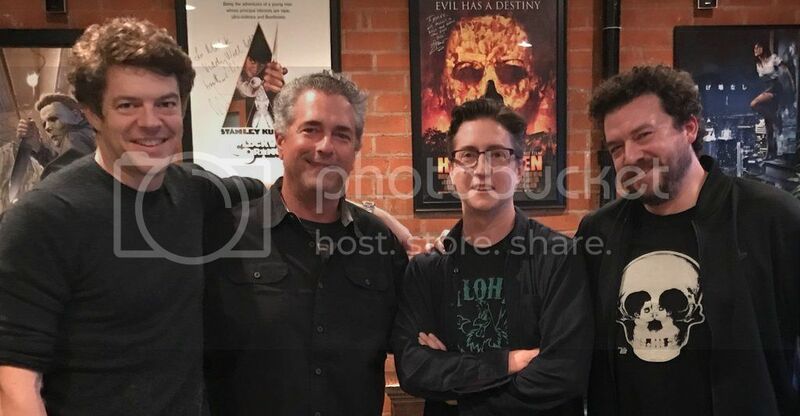 “I think it’s more interesting to have someone like David or Rob Zombie, these filmmakers that just come and put their own stamp on it for better or worse. I think that’s a more interesting way for a franchise to stay alive than to just continue to beat the same drum over and over again.” And that was how McBride and Green pitched their take to series producer Malek Akkad, whose father produced Carpenter’s original and who now owns the rights to the franchise. That Curtis herself has given her stamp of approval over the creative direction which Green and McBride chooses to take their sequel is significant in more ways than one. After all, ‘Halloween’ gets rid of the most important relationship between Michael and Laurie that Carpenter’s hasty sequel ‘Halloween 2’ established, i.e. that Michael and Laurie are brother and sister. Looking back at the nine films in between the first movie and this sequel, the sibling relationship between Laurie and Michael is probably the most referenced element of the franchise. In ‘Halloween 4: The Return of Michael Myers’ (1988), Michael returns to Haddonfield to kill Laurie’s niece, and then tries again in ‘Halloween 5: The Revenge of Michael Myers’ (1989). ‘Halloween H20: 20 Years Later’ (1998) and its sequel ‘Halloween: Resurrection’ (2002) saw Curtis return as Laurie, though not with a fair bit of behind-the-scenes tension on the latter. Rob Zombie’s ‘Halloween’ (2007) and ‘Halloween II’ (2009) even further established Michael as Laurie’s baby sister, even though those two films didn’t star Curtis as Laurie. Judging by the critical reviews and audience reception coming out of Toronto, ‘Halloween’ seems to be a big step in the right direction for the series, which frankly had run out of steam after Zombie’s last ‘Halloween II’. In fact, the previous studio Dimension Films had failed to make another sequel in time, thus losing their rights to the franchise, which then went to Jason Blum’s horror outfit Blumhouse Productions. Now as they say, the rest is history, with reports that another sequel is already in the works. Regardless of how that fares, you can be sure that Laurie and Michael will live on as long as Halloween comes along.